After a brief illness, Sandra passed away peacefully on April 8th in her 73rd year. Loving daughter to Samuel and Dorothy Webb (predeceased). Sister to Donald (Nancee). Devoted Mother to Andrea (Dan) and Michael (Jennifer). Cherished grandmother to Lauren and Madison. 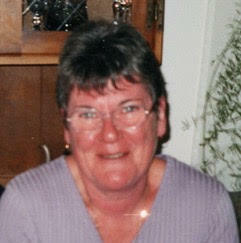 Sandra was born in Dudley, England and immigrated to Canada with her family in 1957. As a long time employee of the publishing industry, Sandra worked tirelessly inside and outside the home to provide a wonderful life for her family. Sandra carried on the family tradition of being actively involved in the Girl Guides of Canada for many years. Sandra had a life-long passion for gardening and shared her green thumb with friends and neighbours. Sandra will be deeply missed and fondly remembered by all her family and friends. Memorial Service to be held on Saturday, April 13 at 11:00 Trinity Anglican Church, Aurora. In lieu of flowers, donations to the charity of your choice would be appreciated by the family. Please accept my deepest condolences on the passing of Sandra. While I did not know Sandra, I can see that she lived a truly wonderful life. May warm memories of Sandra bring you all comfort, both now and in the future. Please accept my deepest sympathies on the passing of your sister Sandra. Please accept my heartfelt condolences on the passing of your dear sister Sandra. My thoughts are with you and your family at this difficult time. May all your wonderful memories sustain you. So so sorry to hear about your Mum passing, our thoughts and prayers are with you at this very sad time.